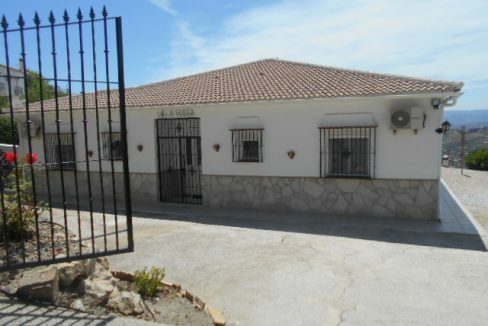 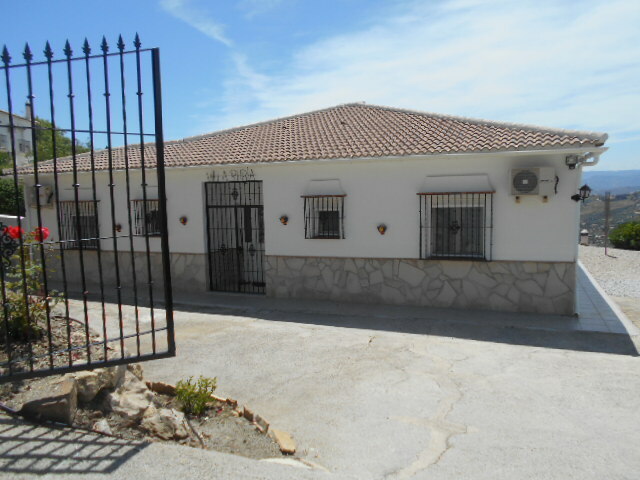 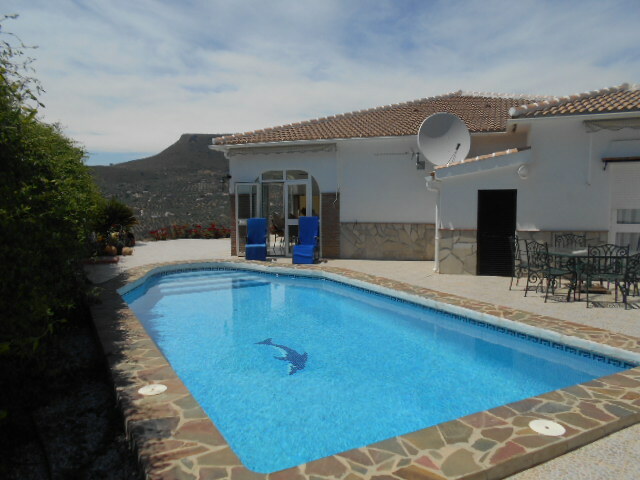 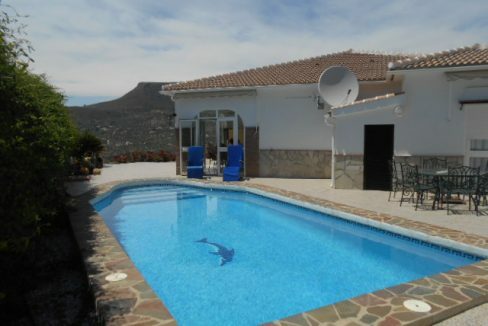 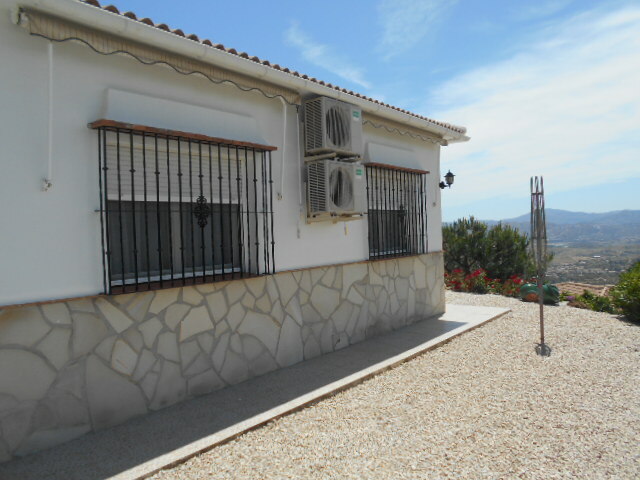 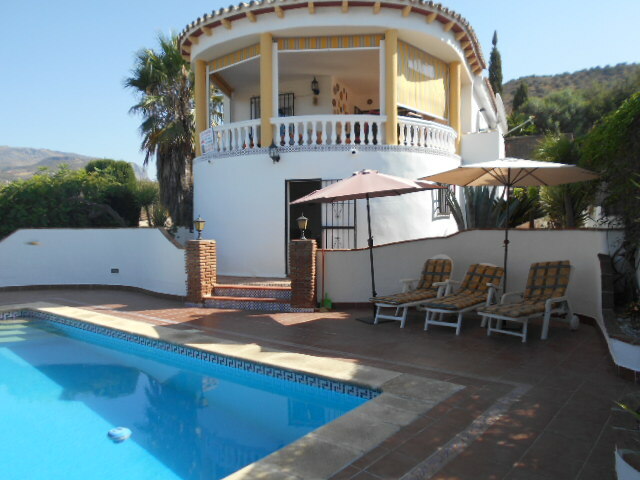 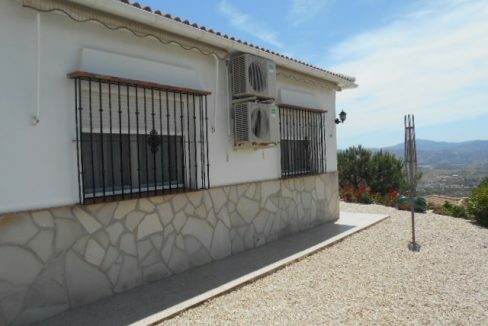 An amazing and rare opportunity to purchase a stunning larger than average villa set at the end of a very quiet cul-de-sac within walking distance of the stunning national park of Sierra Tejeda and the beautiful historic white washed village of Alcaucin with its bars and restaurants and a range facilities including Beauty salons and mini supermarkets. 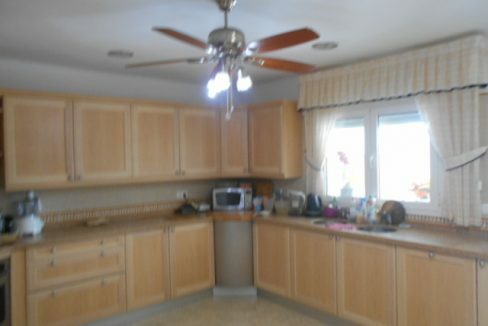 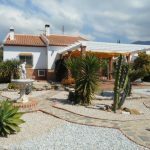 Access to the property is via Electric Gates and a private drive with established rose garden and parking for 3 plus cars. 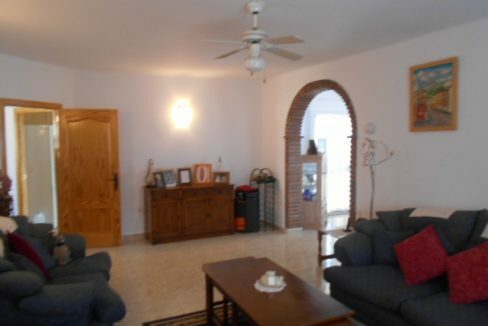 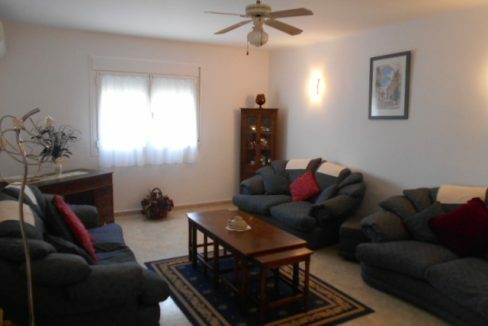 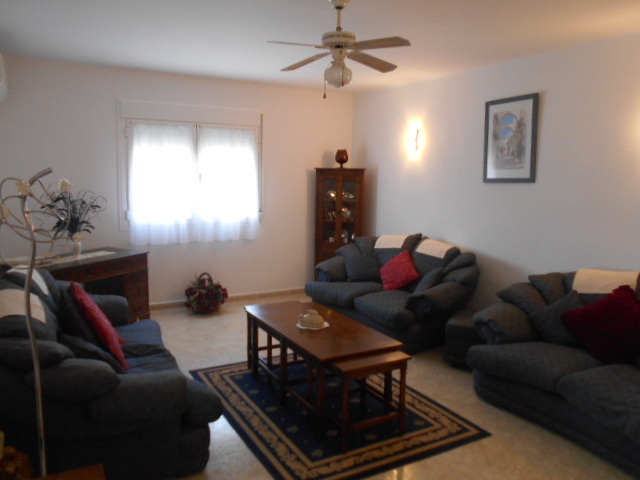 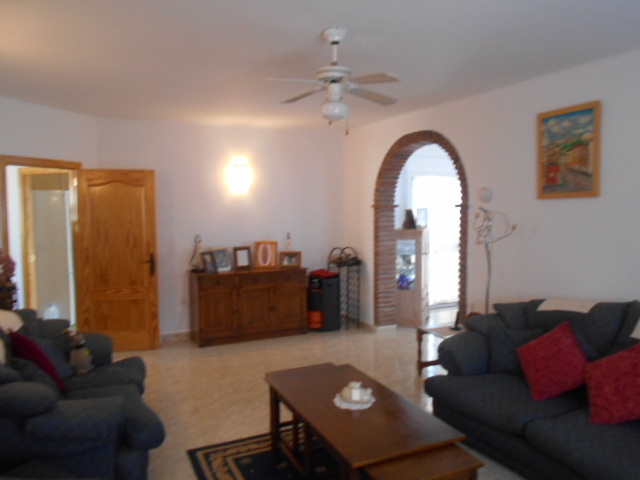 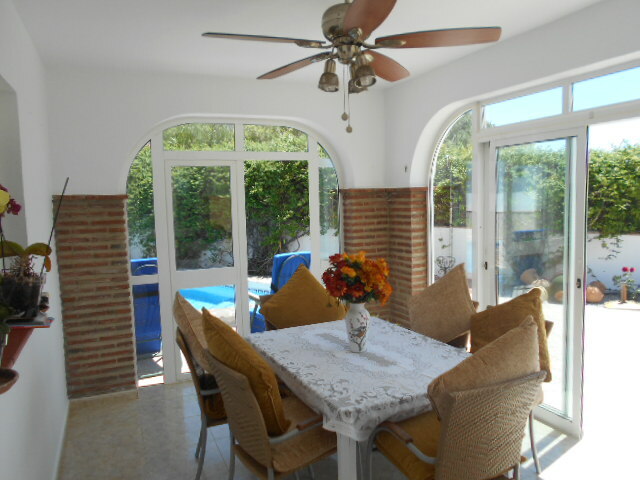 Inside the villa has been recently re-decorated and quality fittings have been used throughout. 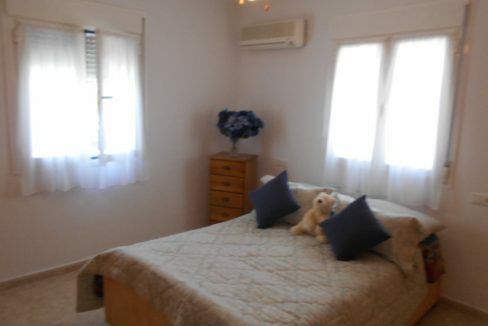 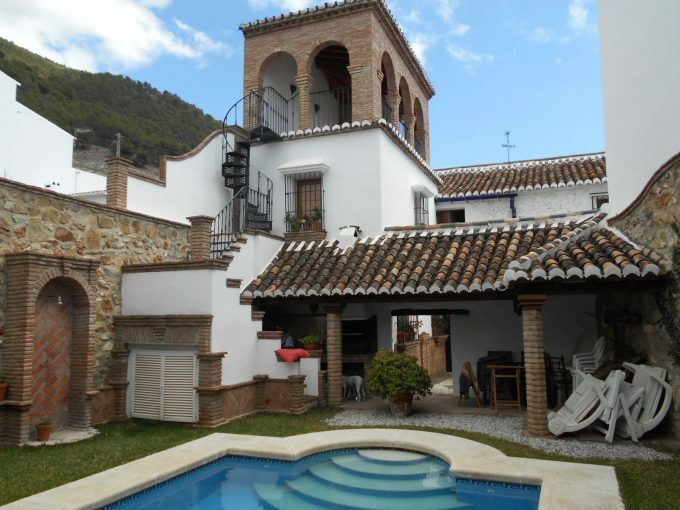 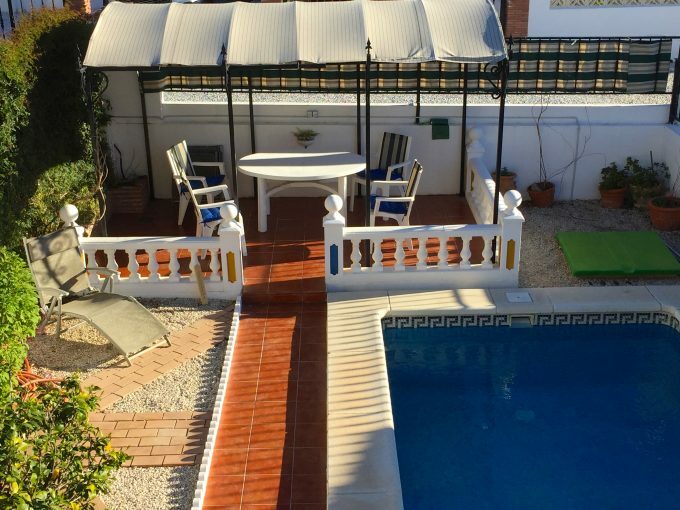 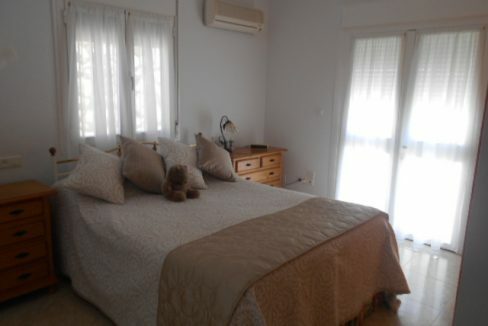 The Villa is configured to have 2 bedrooms at present with the master bedroom being used as the drawing room but can easily revert back to 3 bedrooms. 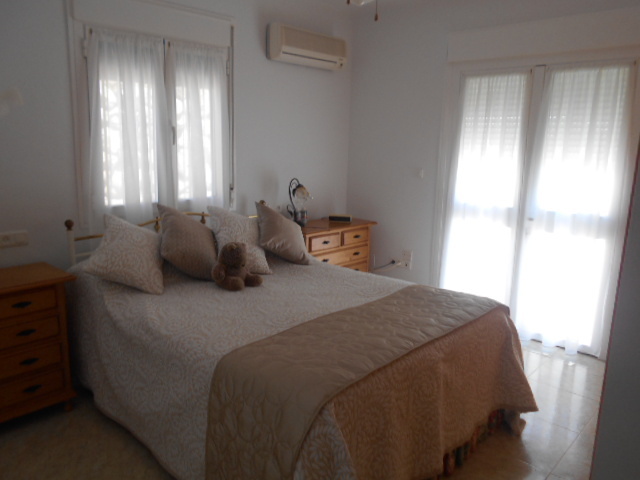 The bedrooms are spacious and complete with Air Con and en-suites with plenty of room for wardrobes and storage. 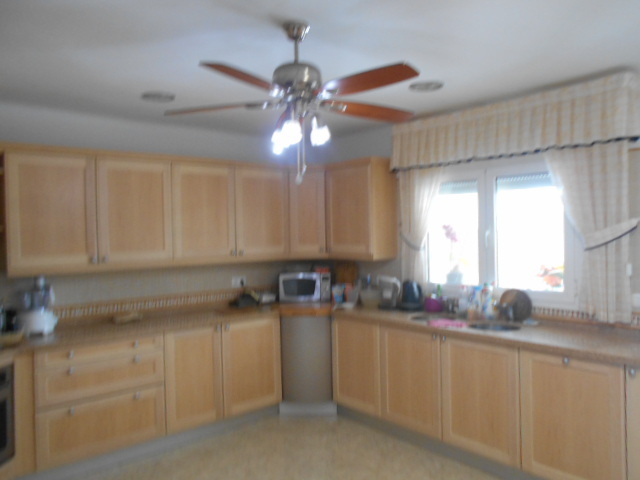 The kitchen is modern and bright with quality units and fittings with room for Dishwasher and washing machine, and could be a kitchen diner. 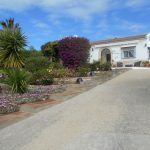 Outside, the villa has mature gardens with roses and several fruit trees, large terraces and a large 9 X 5m Roman steps pool. 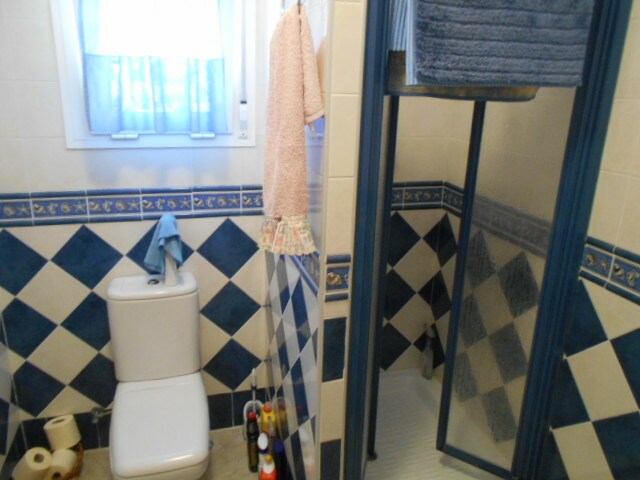 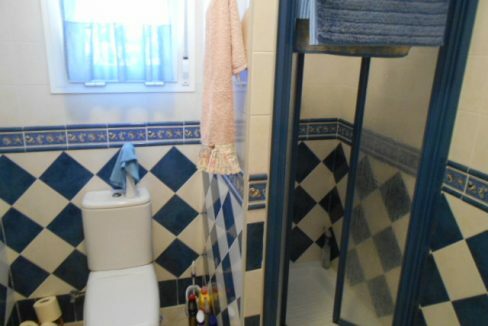 There is also an outside toilet near the pool. 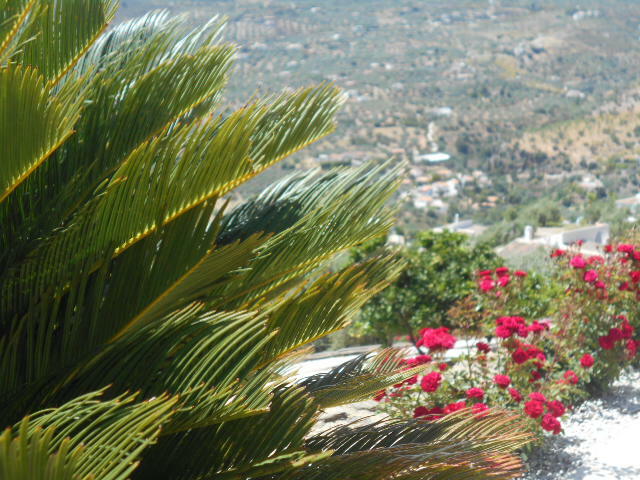 The views from the garden across the countryside and mountains are breathtaking and must be seen to be fully appreciated. 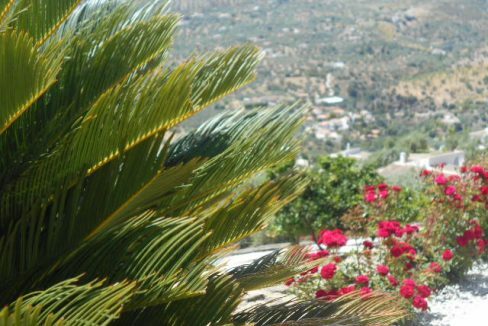 The many terraces around the villa also allow you to enjoy year round sunshine and views and the gardens are auto irrigated.